Adelaide in summer is very dry and hot with very little humidity or rain. Since January 2015 there has been over 60 days without any significant rainfall. 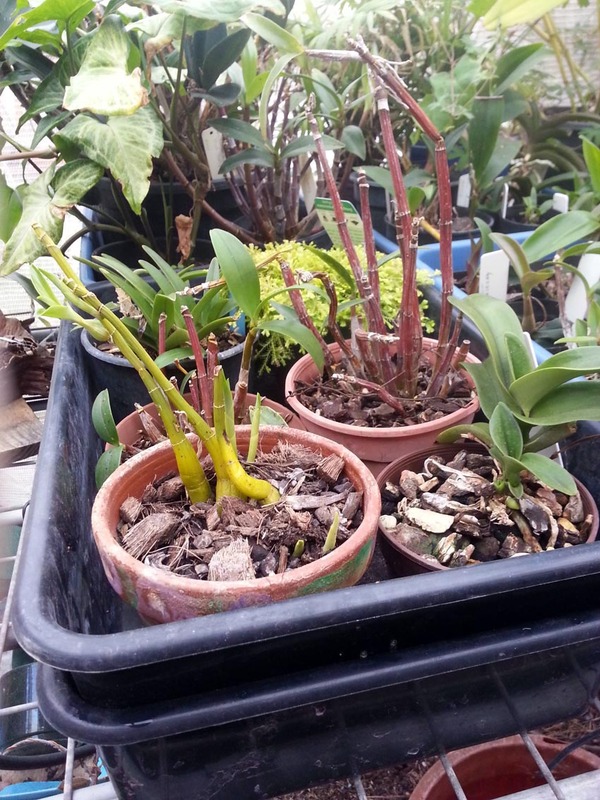 This presents a problem for growing Australian epiphytes which come mainly from the eastern seaboard with its increased humidity and summer rain. Therefore to grow ephiphytes in Adelaide, it becomes necessary to attempt to replicate these conditions through creating a micro climate with increased humidity. To achieve this many growers will stand the pots on gravel in water-filled trays but this presents a problem. Mosquitoes love it and rapidly breed up to the annoyance of us all. 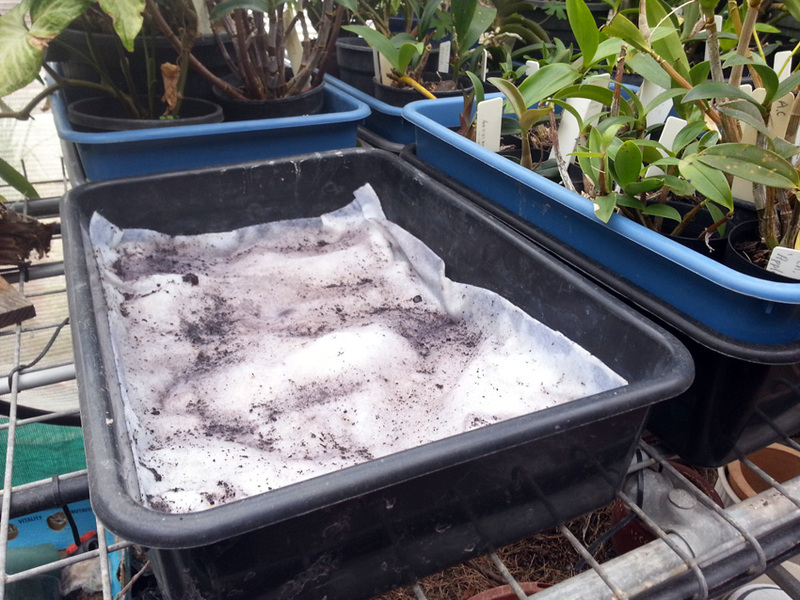 The following system stops mosquitoes from breeding plus prevents pots getting water logged in Adelaide’s winter, particularly when the pots are not under a solid roof but shadecloth (in this instance, 50% shadecloth). One hole was drilled in each of the trays. A grommet was placed in each hole and using ‘T’ and corner junctions the trays were joined with poly tubing including a tap. The trays connected. To give stability the trays and hose were connected to the table top with the hose running under the table top. This allows free drainage as it stops the hose from being squashed. The next step was to check that the water flowed into all the trays and that there were no leaks. Filling all the trays from one tray. There were leaks and these were sealed with an aquarium sealant. 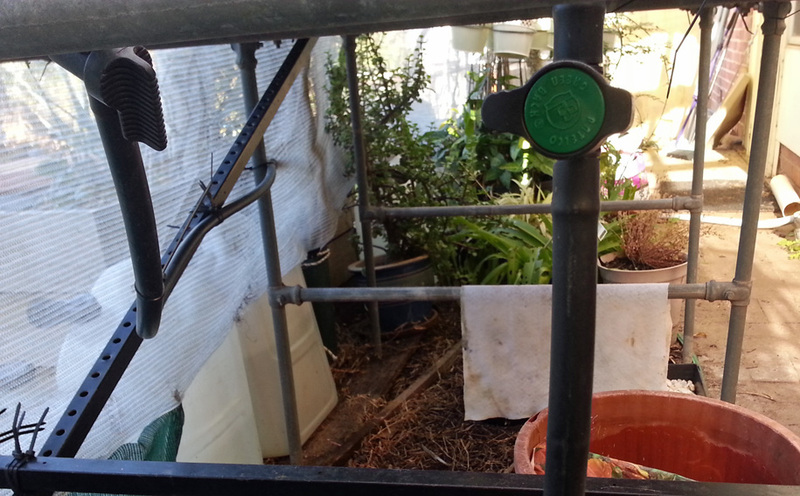 A hose with a tap was directed toward a raised garden bed on the other side of the shadecloth. The system requires a second tray. Drainage holes were drilled in the trays. 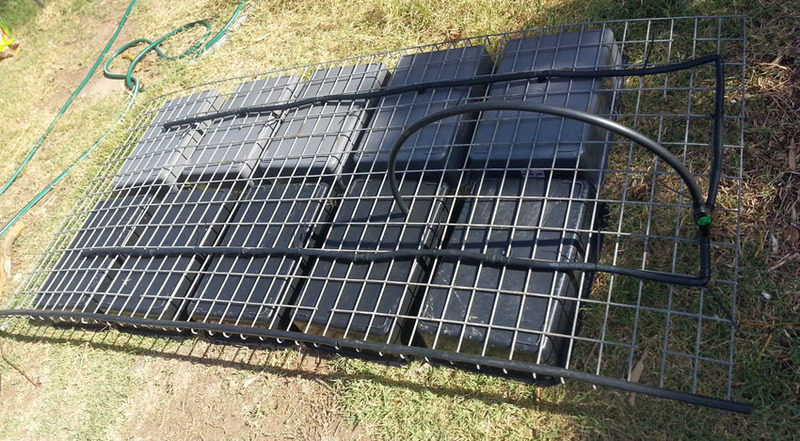 Inner trays with holes to allow the water to come up into the pots. Gravel was placed in the outer (lower) tray. The reason was two-fold. One was to make it easier to remove the inner tray with the pots insitu and the other was to hold the builder’s landscape fabric nearer the inner tray. The purpose of the fabric is to keep the tubing clear of debris. Pots in place and ready to enjoy the new growth of those numerous plants that were divided previously – see the post Breaking up is ….. easy to do. 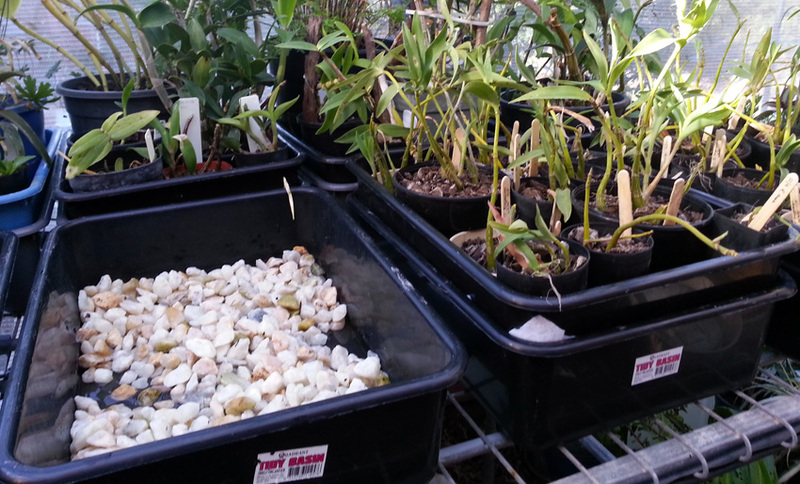 The front pot originally consisted of just the pseudobulbs of Dendrobium kingianum. There were no leaves. After a few weeks in this system, new growth has appeared. Depending upon the conditions, the mosquito breeding cycle can be as short as four days from egg-laying to the larva emerging as a adult. As a result, the water is fully drained every four days or less. This regular drainage of water means that there is no stagnant water left lying around for any prolonged length of time. 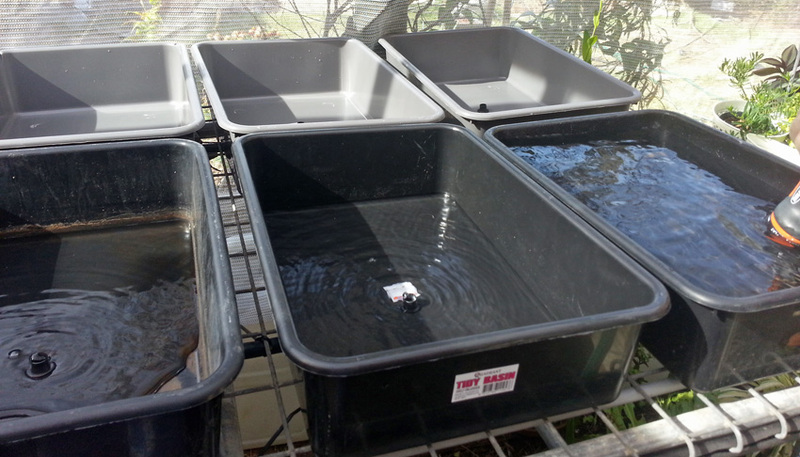 The trays are allowed dry for a couple of days (less in a heat wave) before refilling again and the pots sit in a small amount of water. By following this watering cycle there are no mosquitoes. 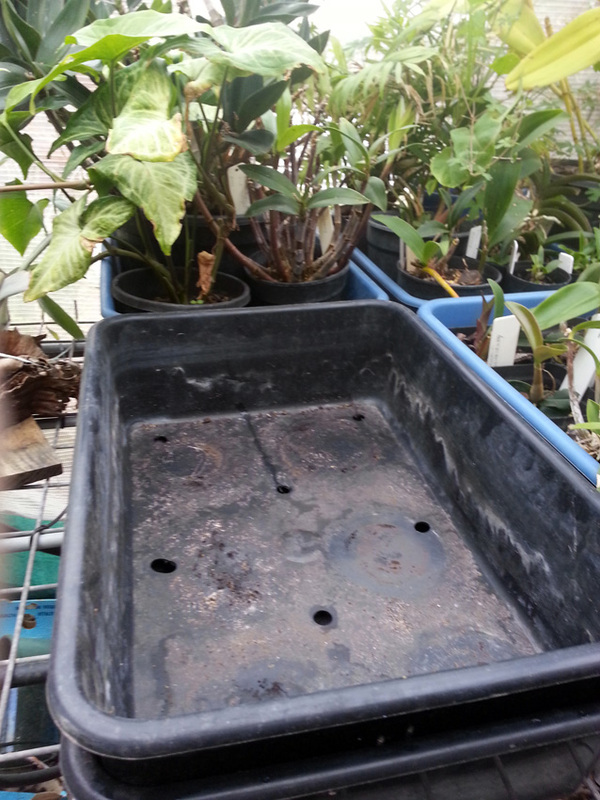 The shallow layer of water around the pots provides the necessary humidity. In winter the taps are left open the whole time to prevent the plants from becoming water-logged. 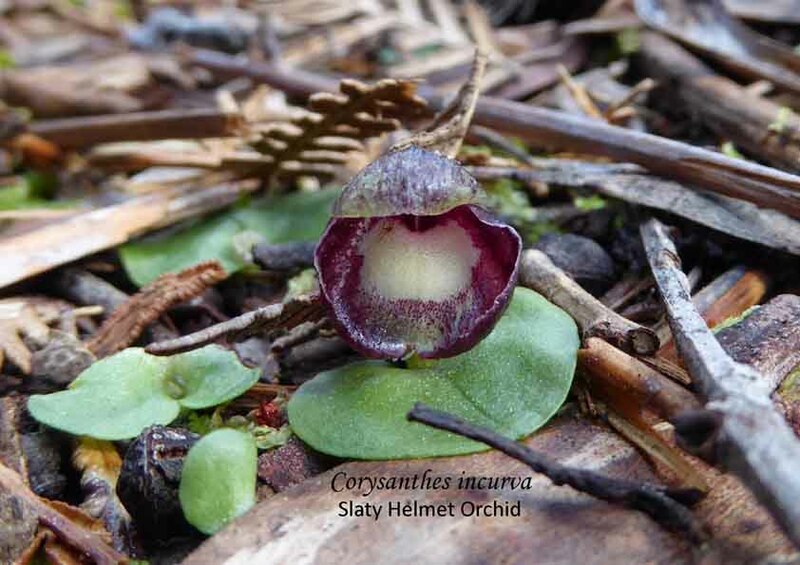 NB This system is not suitable for the terrestrial orchids. 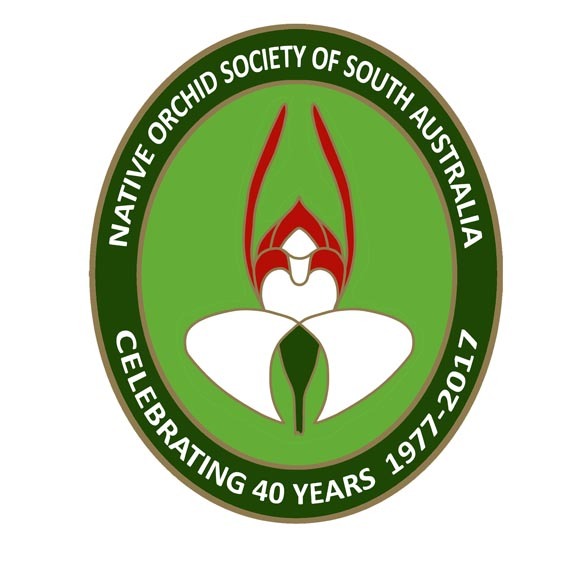 This entry was posted in Growing Epiphytes/Lithophytes and tagged Adelaide, Australian orchids, creating humidity for orchids, epiphytes, Growing Ephiphytes, mosquitoes, Native Orchids, South Australia, South Australian Orchids, watering epiphytes, watering system for orchids. Bookmark the permalink.